Uploading individual files to Google Drive can be tedious and time consuming. By uploading folders, not only can several files be uploaded at a single time, but the folder structure will also be preserved. 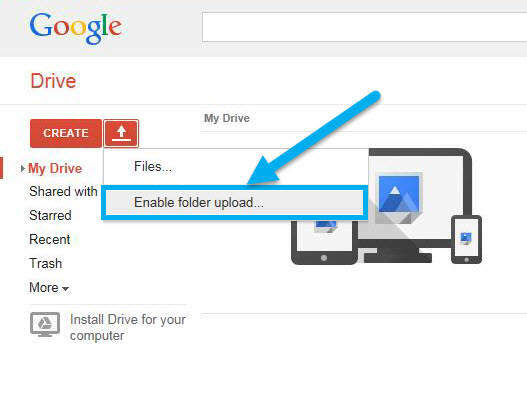 Find out how to upload and download folders to and from Google Drive. 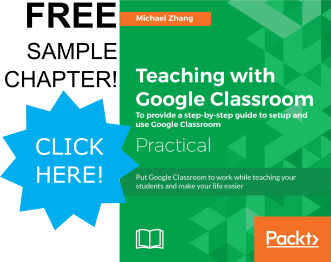 Methods 1 and 2 use Google Chrome as the web browser. Method 3 explores using another web browser. The folder will upload with all the files and subfolders intact. Open “File Explorer” in Windows and navigate to the desired folder. Arrange the File Explorer so that Google Drive is visible. 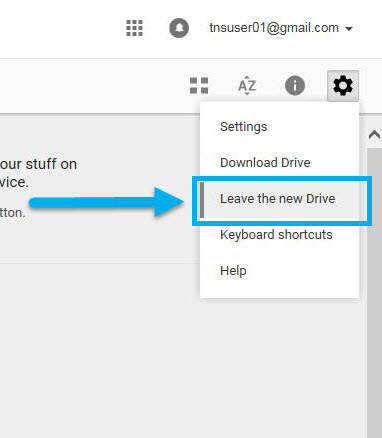 Drag and drop the desired folder over Google Drive. There will be a big blue circle with “Incoming” that will indicate that drag and drop is activated. If you use a web browser other than Google Chrome (such as Internet Explorer), the menu will not show an option to upload folders. In order to upload folders in other web browsers, Google Drive must switch to Classic View. The interface of Google Drive will change. Click on the “Install applet” button. NOTE: You may need to confirm additional popups, such as java. If there is no “Install applet” button, the easiest solution is to click the “Download Chrome” button and install Google Chrome. Google Chrome can be installed onto a computer without administrative passwords. (However, if your work computer uses software such as Deep Freeze to prevent software installations, you will have to install Google Chrome every single login or use a portable version on a USB drive). 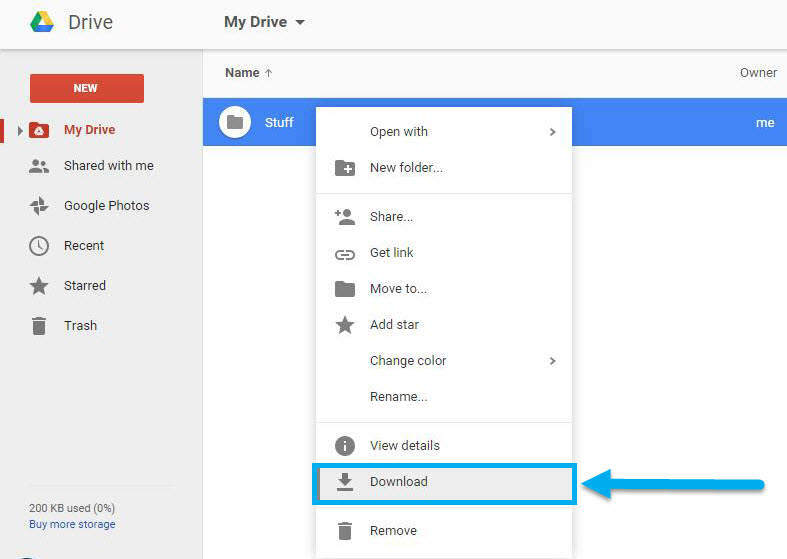 To preserve the folder structure of sub-folders within folder, Google Drive will compress a folder in Google Drive into a zip file and download the folder as a single zip file. This process is done because web browsers cannot create folders. 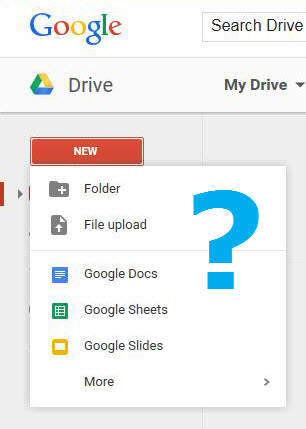 Therefore, if Google Drive downloaded each individual file within a folder, each individual file would appear in the Downloads folder of the computer without any folders. Since folders are downloaded as zip files, the zip files need to be decompressed to behave like folders. In the Downloads folder, the files will be compressed in a Zip file. 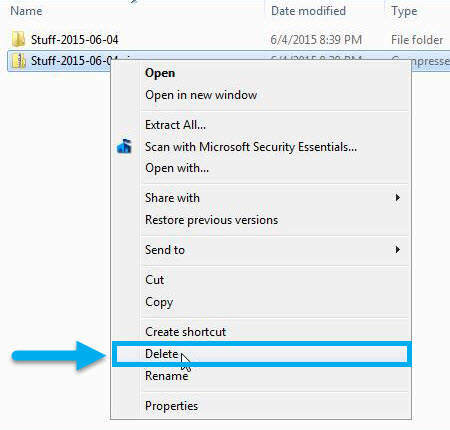 NOTE: Double-clicking on the file will open the zip file in file explorer where you will be able to navigate through sub-folders and files and open files, but will cause issues with moving and saving files. Therefore, we will extract the files from the zip file. NOTE: The icons between a folder and a zip file are very similar. 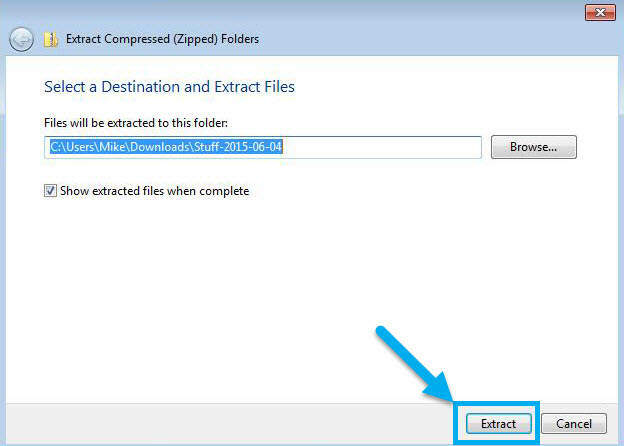 Select the folder destination and click the “Extract” button. The folder containing all the folders and files will be extracted. With the constantly changing office and new technologies promising more robust systems, easier interfaces, and less repetitive tasks, the laundry list of steps to get a task done progressively becomes more complex. Hopefully, if you or your office is already using Google Apps, uploading and downloading folders can help simplify processes and save time when managing files online.